Product prices and availability are accurate as of 2019-04-20 10:10:41 UTC and are subject to change. Any price and availability information displayed on http://www.amazon.com/ at the time of purchase will apply to the purchase of this product. 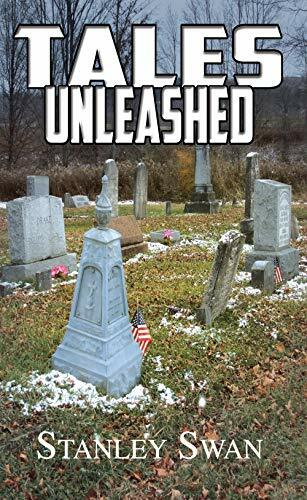 Author Bookstand is proud to offer Tales Unleashed by Bookstand Publishing. Tales Unleashed has generated a lot of interest and excitement and we think it would be an excellent addition to your library. Knowing as a youngster that he would become an undertaker, Stan has always been fascinated by tales of the unknown, past lives, and the unusual. He grew up in the fifties and sixties watching science fiction and reading stories by legends Alfred Hitchcock and Rod Serling. After spending 35 years in the funeral business, Stan penned his memoir book Undertakings of an Undertaker, True Stories of Being Laid to Rest, in 2015 (Bookstand Publishing, Amazon). In Tales Unleashed, you’ll be astray in fog, sent back in time and projected onto the ‘next level’. You’ll experience the chill of a fortune teller, a pumpkin weeping for home, a crow who stands guard over his domain, a haunted belfry, being ‘lost’ at the drive in and more. What you’ll need to enjoy Tales Unleashed; an easy chair, your favorite beverage, and a friend to sit next to you as you read the tales aloud under soft light. Oh, you might want to check to make sure the doors are locked and the windows are secure…. you know… just in case!